Although your 16-month-old child's cough might sound horrible to you, coughing is actually a very common occurrence in kids, and a healthy way of protecting the airways and lungs, according to Kids Health. Coughing is generally not a sign of a serious health problem, but depending on the type and persistence of your child's cough, it might mean he needs medical attention. You can also take additional steps at home to soothe your 16-month-old's coughing. Have your child vaccinated against pertussis. According to Kids Health, pertussis is an infection of the airways better known as whooping cough. It is very contagious, and children should receive a vaccine shot at 2 months of age, 6 months, 15 months, and 4 to 6 years of age. 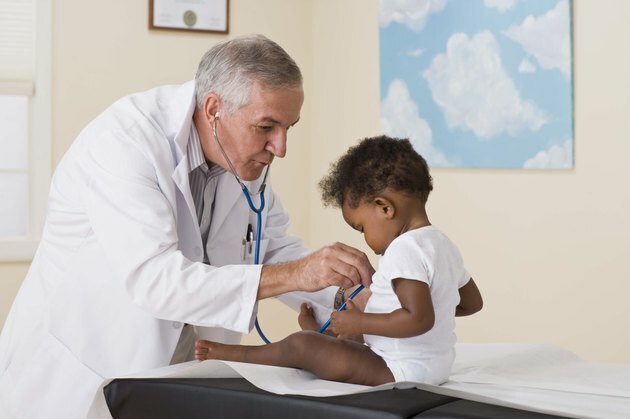 If your child has not been vaccinated against whooping cough and has uninterrupted coughing spells followed by a deep "whooping" inhalation, take your child to his pediatrician. Try saline nose drops. Nose drops might seem like an odd approach to a cough, but according to pediatric allergy specialist Thomas Ferkol, this might be the best option for a cough that sounds wet and mucusy. Such a cough can be related to an infection such as sinusitis or an allergy, and your child might have post-nasal drip or clogged airways. Ferkol recommends saline nose drops and lots of fluids to dilute the mucus. If your child's cough is accompanied by fever, call your pediatrician. Make a steam room. 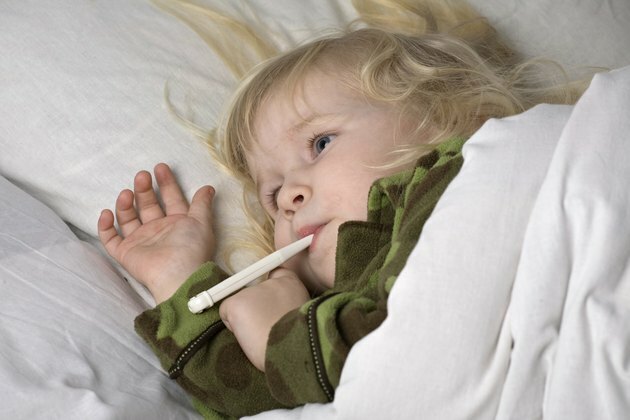 If your child's cough sounds like a barking dog and seems to worsen at night, it might be a viral infection known as croup, according to Ferkol. In this case, sit with your child in a steamy bathroom for about 15 to 20 minutes. Or, if the weather is brisk but not cold, bring your child outside for some fresh air. However, if your child has serious trouble breathing, bring her to the emergency room. Remove possible allergens. If your 16-month-old's cough is dry and tickly, it might be an allergic reaction, according to Ferkol. If so, follow the same procedure as with a wet cough by giving your child nose drops and plenty of fluids. If you know what the allergens might be, do your best to keep your child away from them, and see if his symptoms improve. Always call the doctor if your child has a fever, has difficulty breathing, or is blue in face, lips or tongue. You should also call the doctor if your child is wheezing upon exhaling, because this could be a sign of asthma. 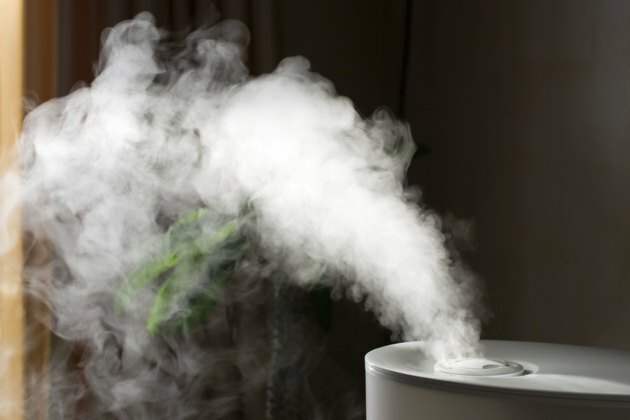 Consider a cool-mist humidifier for your child's bedroom. This might help her to sleep. Avoid giving your child over-the-counter medications, according to Kids Health. Cough and cold medicines aren't recommended for children under the age of 4.